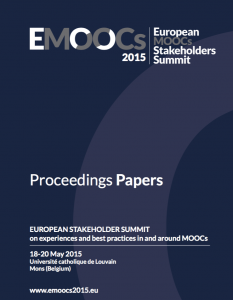 This paper describes experiences and lessons learned from developing, building and running 18 MOOCs (including 4 reruns) at the Delft University of Technology, namely the selection of courses, the design, development and delivery of courses, innovative educational elements for use in online and in residential teaching, and the generation of data. Overall the development and offering of MOOCs has augmented the awareness, expertise, and innovation regarding online and residential learning, and has contributed to an active and positive spirit of educational innovation. In addition, we saw indications of a positive effect on quality and quantity of enrolment for on-campus programs, gathered data for research and were able to share the university’s knowledge with the world.